Typical bets on the NFL usually revolve around single game point spreads and point totals. While single bets are standard among most sports bettors there are other wagers that allow for the inclusion of more games and more individual outcomes. While the most common type of multi-outcome bet is the parlay a recent variation of the concept that is catching on among in tune gamblers is the NFL teaser bet and the NFL Basic Strategy Teaser. Made more mainstream by Stanford Wong upon the release of his book, first published in 2001, titled “Sharp Sports Betting” (Wong Teasers) the teaser is now a more widely used betting strategy even among novice punters. Lets review why even beginning sports bettors may want to consider adding the NFL Basic strategy teaser to his wagering arsenal. Stanford Wong who is widely considered the inventor of the idea of “basic strategy teasers” used push charts in his 2001 book “Sharp Sports Betting” to illustrate that utilizing point spread modifications on +1.5 to +2.5 underdogs and -7.5 to -8.5 favorites is a profitable sports betting system when given the correct teaser odds by the casino or sports book. Eventually beating the books at a rate of more then the required 70.95% Mr. Wong begin to track and prove that winning with teasers was profitable given their current state and availability. These basic strategy teasers eventually led the books to revise their odds as detailed below. In both of the mentioned underdog and favorite teaser betting scenarios above when moving the spread six points you are locking in a win on an otherwise loss and this was another one of the great revelations of basic strategy teasers. This strategy was made possible because the bookmakers commonly offered a standard 2 team 6 point teaser at +100 or even money. After Wong’s basic strategy teasers system was fully public and understood, it prompted most bookmakers to adjust their odds to -110 on a 6 point 2 team teaser. Now, it is commonly noted the most common margins of victory in football in order of probability are 3, 7, 10, 6, 14, 4, 1, 17, 13 and 2 which lays the foundation for even more advanced and exotic profitable variations of basic strategy teasers. While in today's current market, basic strategy teasers on a 2 team teaser do not produce as they used to due to the new odds, it is still possible to apply the strategy to more exotic teasers. For example the 4 game 6 point teaser at +300 can still yield a profit if applied properly. This is a more complicated strategy that will be covered in a future advanced teaser strategy article and in the Sharp Sports Betting Book. Mostly available online as many land based sports books do not offer them, the teaser is a parlay wager that leverages the adjusted point spreads. For football, the basic starting bet movement is six points, although Online Sportsbooks such as 5Dimes offer teasers all the way from 4 ½ to 20 points. Falcons -1.5, Saints +7.5, Giants +11.5. To cash this ticket and win the bet it will require that all three teams cover the adjusted point spreads. Most online sports books pay a winning three team teaser at the odds of 1.8 to 1. 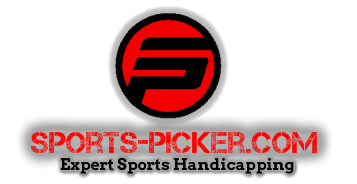 While odds will vary from sports betting site to sports betting site you will want to be on the lookout for 2 teams teaser at -110 or better odds, 3 team teasers at +180 odds or better and 4 team teasers +300 or better odds. Teaser pushes should be the same across the board but it is always wise to check each site you are playing to confirm. The rules usually read if a game in a teaser pushes while any other game is a loss, the teaser bet is marked as a losing ticket. Teaser pushes and wins should reduce the same as they would in a parlay. A three team teaser with the outcome: win/win/push is paid as a two team teaser parlay. In the case where there are no losses on the teaser but only one win also the betting slip is refunded. For example, if a two team teaser results in a push/win situation there is no action on the ticket and the bet is returned. It has been proven that when betting three team football teasers at +180, we need the parlay to win 70.95% of the time. To calculate if it was more advantageous to wager on the standard point spread or a modified teaser point spread we must compare a number of factors. If we make a standard bet at a discounted vig from a sports book like 5dimes, we will likely pay -105. To determine our needed break-even point for betting straight bets at -105, we can use the risk divided by return formula. A $105 bet returns $205 (our $105 stake plus $100 win), so the math is 105/205=0.5122, which calculates to 51.22% wins needed to break even. The difference between the 70.95% break even rate in a teaser and the 51.22% betting straight with diminished vig is 19.73%. Smart bettors familiar with basic strategy teasers started to think on different levels about the potential implications of the above. To figure out if a teaser parlay is a better choice than a straight bet, we need to know if those six additional points increases the win probability by 19.73% or not. The truth of the matter is that most teasers are sucker bets, because very few times will six points increase your win probability by 19.73%. To do this, you will need to cross key win numbers noted in the basic strategy section above. This is why basic strategy teasers have historically been profitable when carefully studied and selected. Automatic default football teaser bets maximizing “basic strategy teasers” may be the easiest to understand and complete but there is always more math to be done and more expert advice to seek out. Remember to read articles on the current betting market, to subscribe to betting to services that give you an edge and to continue to do your homework on what will and will not work for your current betting resources. It’s always wise to manage your bankroll well. Do not get over confident about your skills, bet within your comfort zones and try new strategies like parlays and teasers. While qualifying football basic strategy teaser wagers are not offered at every sports book, at odds that will be advantageous over the long run, with hard work, careful study, and the right strategic partnerships, you can land in the football teasers winners circle. As you become a veteran NFL handicapper it will be crucial to carefully consider all bets that may be available to you in any given betting market. I recommend that any novice sports bettor study some of the professional teaser betting programs and memorize the basic strategy teasers discussed above. Once memorized you will find you start getting a feel for what it takes to find plus expected value in the many different NFL teaser betting scenarios offered by the online sports books and casinos. For More information and some updates to teaser strategy for 2014 check out my this article on teaser strategy.